Does Australia really need to improve the quality and storytelling approach of its films? Or is it more important to change its film distribution? Film is in flux. The old ways have been undermined and new ways are not yet fully defined. Audience behaviour is changing. 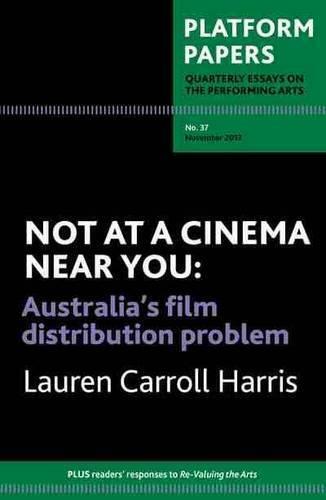 The author asserts that the Australian film industry is clinging to an archaic approach to distribution. For too long, policymakers have conflated the `film industry' with the `production sector' and chronically ignored marketing, distribution and exhibition as key factors that engage audiences and create demand for local films. This Platform Paper engages with those filmmakers working with peer-to-peer, crowdfunded, low-cost and direct-to-viewer delivery and asks: what can digital distribution do for Australian film? The answers are surprising and controversial.